This Fan Page has links to photographs and MPG Salsa Video Clips of Willie Colon. 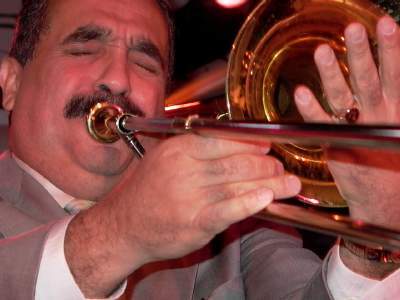 Willie Colon is a Trombone and Trumpet player that was part of the original Fania All Stars. He is a band leader an plays classic Salsa. Here we have photographs of Willie Colon playing at Madison Square Garden and the Copacabana nigtclub in New York City.